Champion® promotes safe shooting with their new hearing protection plugs. Available on a soft nylon cord, these soft silicone gel plugs feature a firm inner stem to insert comfortably into a shooter's ears for great auditory protection at an affordable price. Don't let your passion for shooting damage your hearing-rely on Champion protection when at the range or in the field. Champion® promotes safe shooting with their new hearing protection plugs. 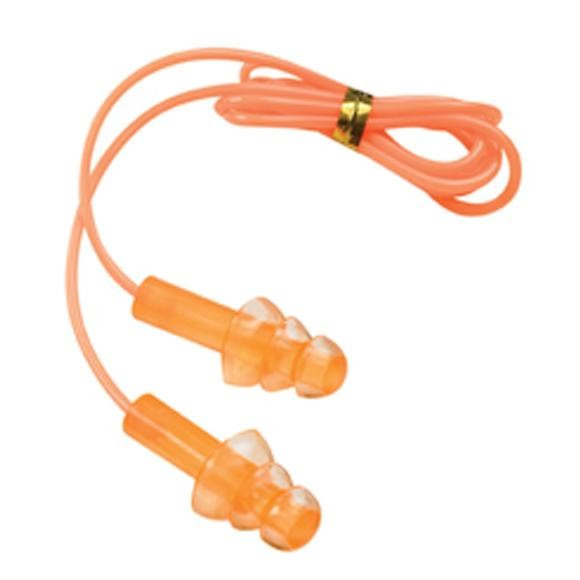 Available on a soft nylon cord, these soft silicone gel plugs feature a firm inner stem to insert comfortably into a shooter&apos;s ears for great auditory protection at an affordable price. Don&apos;t let your passion for shooting damage your hearing-rely on Champion protection when at the range or in the field.